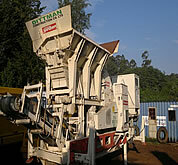 Dittman Construction Company Ltd is a wholly owned Kenyan registered Roads, bridges and general civil Engineering works Construction Company. The company’s office in Eldoret is located in our own Vomorono House 1st floor while in Nairobi at Dittman Centre, off Mombasa Road, adjacent to KPA Inland Container Depot. The firm was established and registered in May 2009 as an Engineering firm offering professional construction services in roads and Civil Engineering, Structural Engineering, Electrical Works, Mechanical Works, Municipal Infrastructure and General Engineering Works and consultancy. The directors and management team have extensive experience on all aspects of such work. To be the premier road and other infrastructure development firm in Kenya. To provide excellent standards in road and other infrastructure development to the satisfaction of all stakeholders.